Mittens - Our Christmas star! 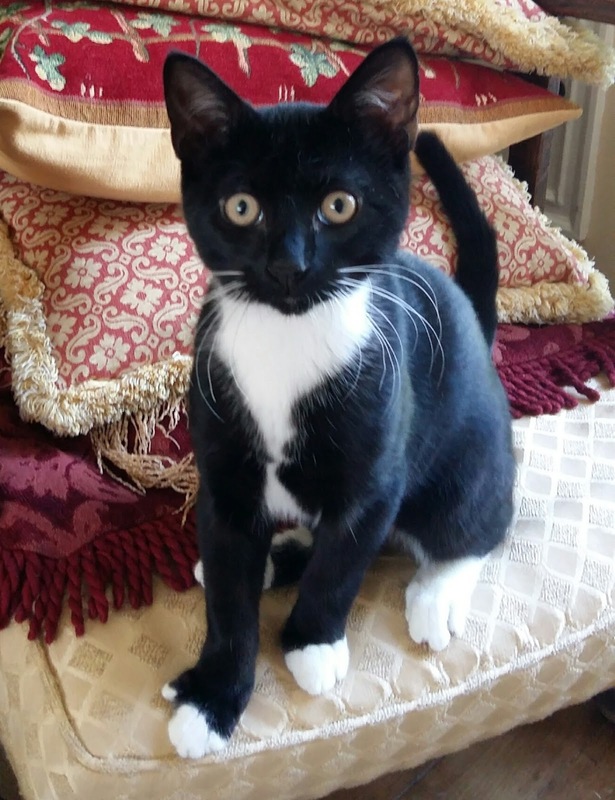 When 9 month old Mittens started being sick his worried owners brought him in to see vet Rachel. He was admitted to the hospital for further investigation. Whilst in, Mittens was sick again and student nurse Jazmin spotted a shiny item that he'd brought up - about a 3cm long piece of gold braid. Suspecting that Mittens might well have eaten more, the decision was made to operate on him. 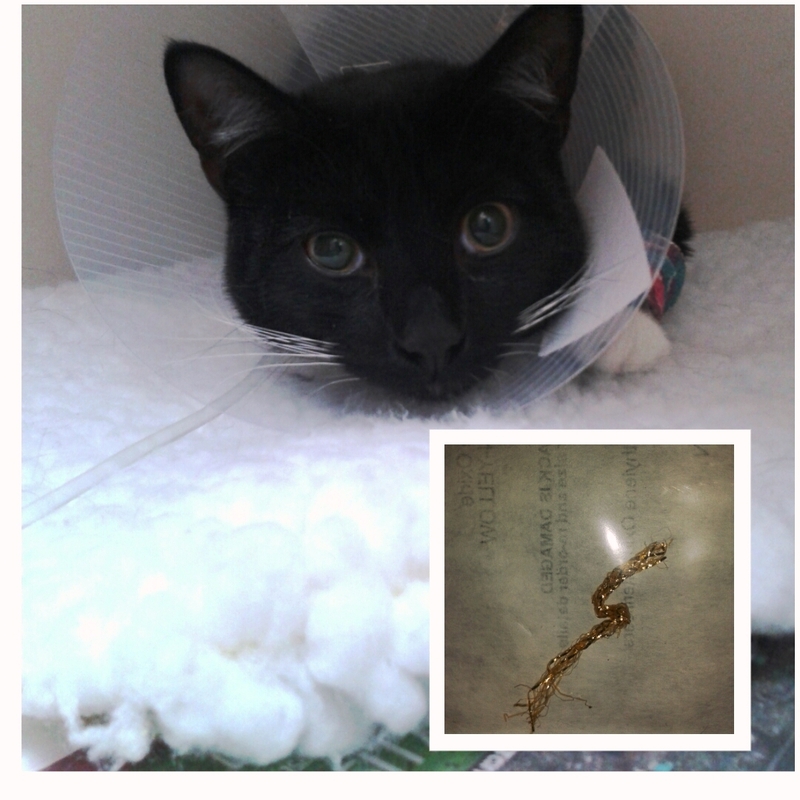 Vet Katie carried out the surgery and discovered that indeed Mittens had eaten more.....in fact nearly 6metres! 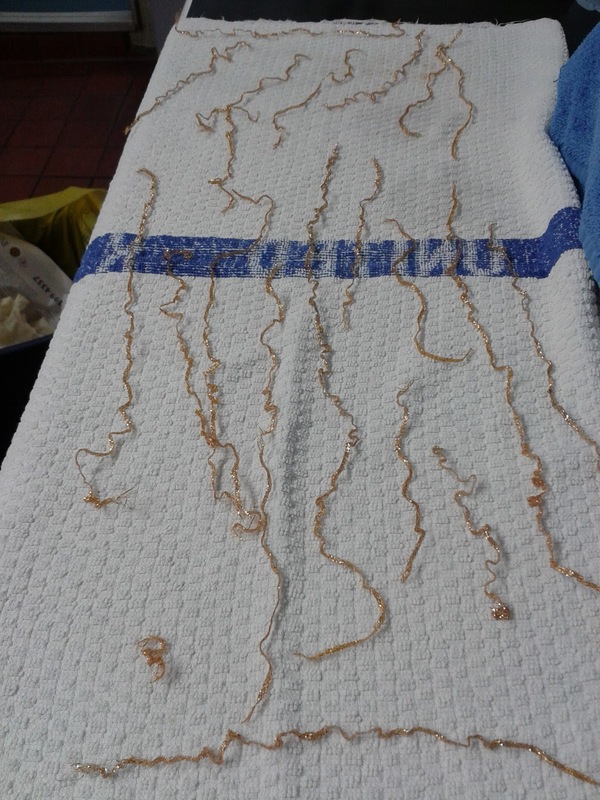 This particularly dangerous foreign body had made it's way along his small intestines where it began to bunch up causing a blockage. 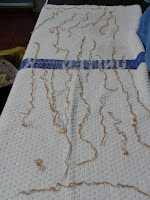 Katie had to make several incisions into the small intestines in order to remove it all. With a bit of detective work from his owner Amanda, we found out what happened. She was preparing to decorate the house and had placed a reel of gold braid under the Christmas tree to be used at a later date. When she came to use it, it couldn't be found and Amanda thought she'd simply misplaced it. Unbeknown to her, Amanda's husband had found an empty reel under the sofa and thrown it away, thinking nothing of it. Mittens has recovered well and is now back home for Christmas. Thank-you to his owners for allowing us to share his story in order to raise awareness. 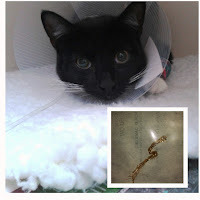 Sooty required emergency surgery after vet Rachel diagnosed him with a condition called Intussusception.This is where a section of the intestines (the small intestines in Sooty's case) slides into another (like pieces on a telescope). When this happens, the blood supply to that section is greatly reduced & the tissue begins to swell and die. 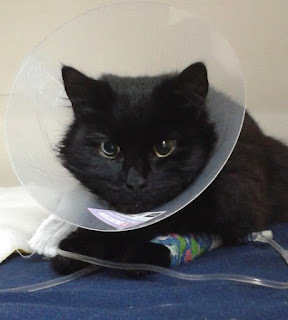 Sooty was in alot of pain and without immediate treatment the condition can be fatal, so he was prepared for an emergency operation.Rachel discovered that the trapped part of Sooty's intestine was too badly damaged to be saved so she needed to perform a procedure called an intestinal anastomosis, where the damaged intestine is removed and healthy intestine is reconnected. Following this operation, Sooty was not doing as well as we'd hoped, so head vet Cathy needed to carry out a second operation to assess the health of Sooty's intestines and check for signs of peritonitis which can be a complication of this operation. 24hours after his second operation, Sooty started to show signs of improving. He was much more comfortable and happy to have cuddles with the nurses. He also started to eat which is always a good sign that an animal is feeling better. This brave boy is now recuperating at home with his owner and we are pleased to say that he is slowly getting better each day. Well done Sooty!